Its fitting that one of the oldest preserved places in the country remains one of those most used by the public. White River National Forest is certainly a national treasure. White River National Forest, 900 Grand Avenue, P.O. Box 948, Glenwood Springs, CO 82602. (970) 945-2521. Over 2 million acres with ten peaks taller than 14,000 feet, located in north central Colorado's Rocky Mountain Region. A dozen ski resorts located in WRNF, including Vail, Beaver Creek, Keystone and Copper. Habitat for deer, elk, black bears, bob cats, and lynx among so many other fauna and flora, such as aspen and pine trees. Collegiate Peaks: Includes Mounts Yale, Oxford, Harvard and Columbia, all "14ers;" also, Mount Elbert, the tallest peak in the Rocky Mountain Range. Eagles Nest: Includes the Gore Range with pristine alpine lakes and lots of snow. Flat Tops: Includes 100 miles of fishable streams and vast alpine tundra. Holy Cross: Includes 25 peaks taller than 13,000 feet, like Mount of the Holy Cross. Hunter/Fryingpan: Includes the headwaters of Hunter Creek and Fryingpan River, both medal winning trout-fishing rivers, and the Williams Mountains. 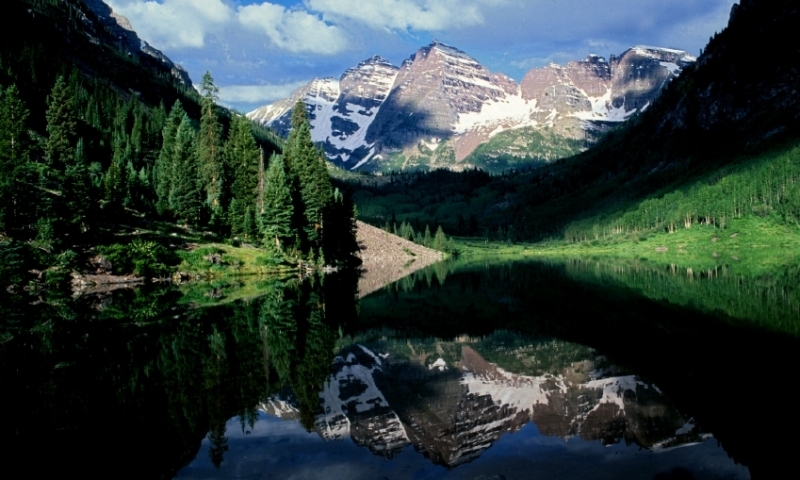 Maroon Bell/Snowmass: Includes the famous Maroon Bells and Maroon Lake; also, scenic hot springs at the head of Conundrum Creek. For comprehensive information about WRNF, visit the official site at www.fs.usda.gov/main/whiteriver/home. White River National Forest is an expanse of 2.3 million acres of federally protected land located west of the Continental Divide and biforcated into north and south sections by Interstate 70. Towns within its borders include Aspen, Vail and Breckenridge. Forest Service main office: 900 Grand Ave., P.O. Box 948, Glenwood Springs, CO 81602. (970) 945-2521. Each season brings endless options for outdoor recreation and western-style culture. When enjoying these protected wilderness lands, be mindful to carry provisions, such as water, food and warm and wet weather clothing. Some roads, due to high altitude, mountainous nature of the region and rapidly changing weather conditions, are subject to closures. Visit www.cotrip.org for up-to-date information on travel conditions before hitting the road. Skiing: Cross-country, resort and backcountry. White River National Forest is free and open to the public. Certain fees may apply for permits to fish, hunt and camp. For Yellowstone National Park travel planning, use our ALLYellowstonePark.com site. The Uinta National Forest in Northeastern Utah is a recreational paradise.